Afro kids greedily eating cake. Three boys devour small cake. Welcome to our humble party. Celebrating together is fun. 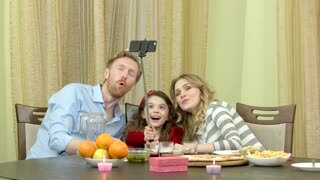 Family of three taking selfie. Table with food and present. Humble birthday party at home. Young people clinking bottles. Company sits on the beach. Welcome to our humble party. Invite friends for a beer. Afro boys and birthday cake. Three kids sitting beside cake. Make a wish now. Evening birthday celebration at home. 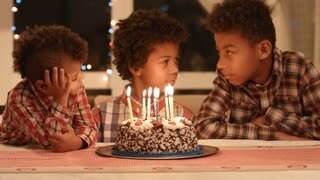 Three afro boys eating cake. 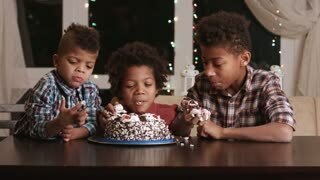 Three black kids eat cake. Time for dessert. They waited for so long. Thoughtful boys near birthday cake. Afro kid's small birthday party. Find peace inside yourself. Becoming adult little-by-little. 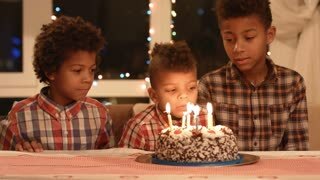 Kids near cake with candles. Boys sitting at the table. Celebrating our friend's birthday. Only the best wishes. 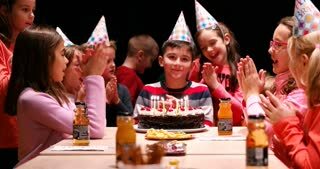 Group of kids blowing cake's candles out. 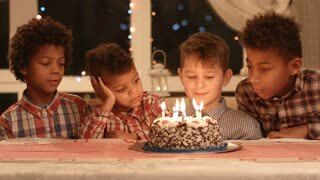 Boys sit near birthday cake. Our guest is here. Visiting school friend's birthday party. Three boys and birthday cake. Kids at birthday table. Festive date to celebrate. 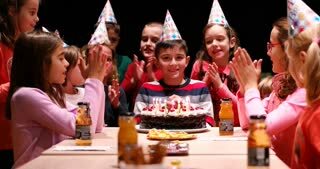 Boy blows out the candles and make a wish. Kids blowing cake's candles out. 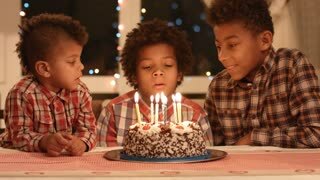 Black boys blow candles out. No it's time to eat. Humble birthday party.